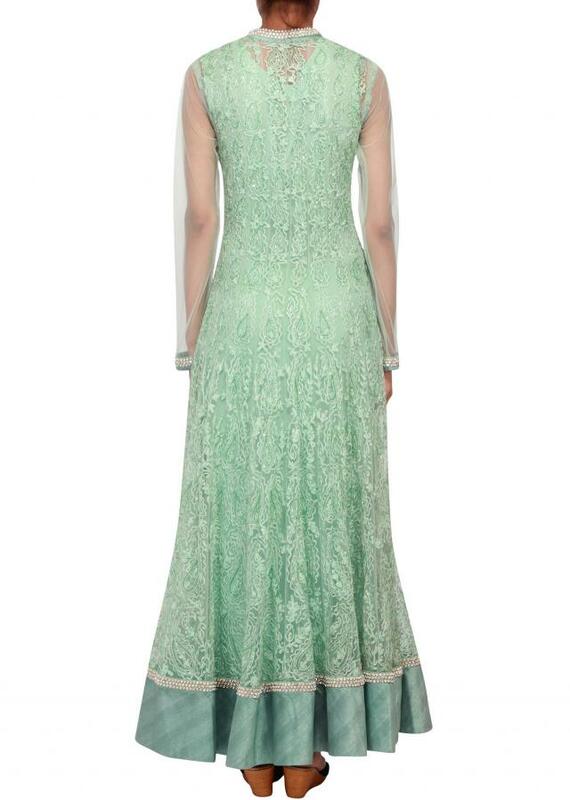 Featuring mint anarkali in net embellished in thread work all over. It has front opening with stone detail all over the placket. Lining is in mint santoon. Border in silk in mint colour and stone. It has full sleeves in net and cuff detail. 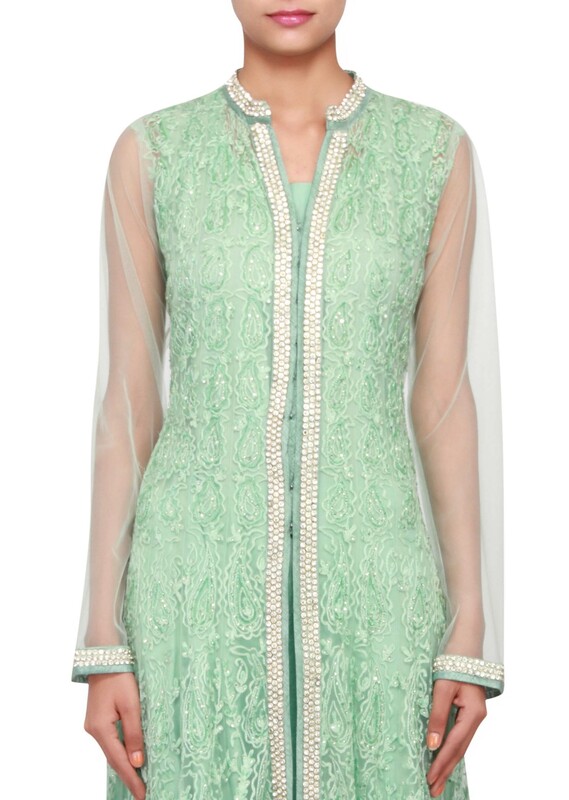 Collar in mint silk embellished in stone. 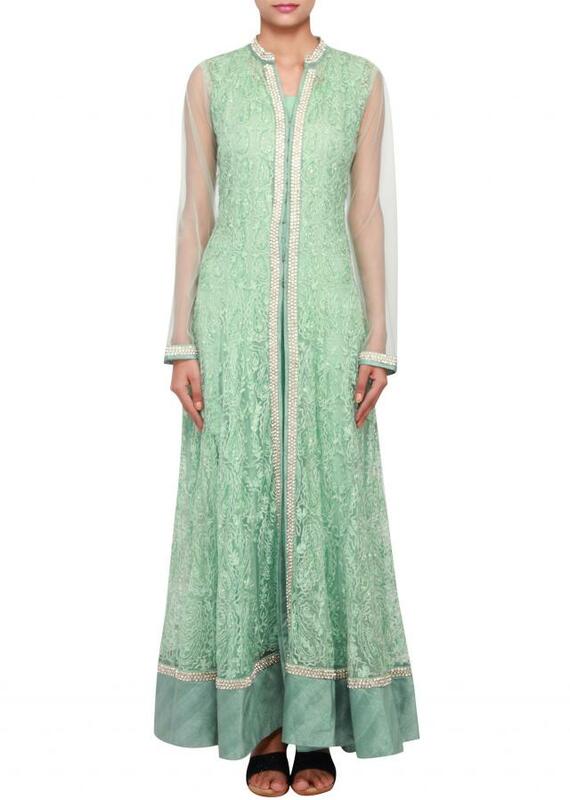 It comes with mint lycra churidaar and mint net dupatta.